Call The Aerial Guys today on 01200 315035 for a no obligation estimate and to arrange an appointment. If you live in Clitheroe and are looking for local TV or satellite installation and repair experts, then call The Aerial Guys. We are passionate about providing you with the best possible service. Contact us today on 01200 315035 to book an appointment. With services operating throughout the North of England, our extensive network of The Aerial Guys engineers means we can nearly always promise that an engineer is available to visit your Clitheroe home, usually the same day you get in touch. So why not contact our TV aerial experts today to book your appointment on 01200 315035. After working on countless TV aerial installations in Clitheroe over the years, we really do know our stuff. And, unlike some larger companies, The Aerial Guys will always guarantee to deliver a reliable local service that you can rely on. If you live in the Clitheroe area and you need a TV or satellite installation and repair service, then call The Aerial Guys. We can be at your home really quickly, sometimes on the day you call us. Contact us today on 01200 315035 to book an appointment. At The Aerial Guys, our professional and easygoing engineers will assess your TV aerial requirements on arrival and always offer you a fixed quote before any work can start. From TV aerial repairs in Clitheroe, to installing a new TV setup, The Aerial Guys are always on hand to make sure you get the best picture possible. Why not speak to one of our technical advisers today to find out how to arrange a visit from your local engineer in Clitheroe. The Aerial Guys are also experts in satellite installation and repairs. If you are looking for a comprehensive satellite installation in Clitheroe, then our engineers can install your entire system – from fitting your satellite dish, to configuring your set-top box and any necessary cabling. At The Aerial Guys, we have specialist knowledge in all the main satellite services, including Sky, Freesat TV and European satellite installations. Call The Aerial Guys on 01200 315035. If you are finding that your satellite signal is intermittently scrambled or pixelated, then put your worries to one side because The Aerial Guys are fully equipped to carry out full satellite repairs in Clitheroe and the surrounding area. Our professional engineers keep a wide range of equipment, suitable for all the main satellite types, in stock permanently. That means that we can often fix the problem as soon as we get to you. 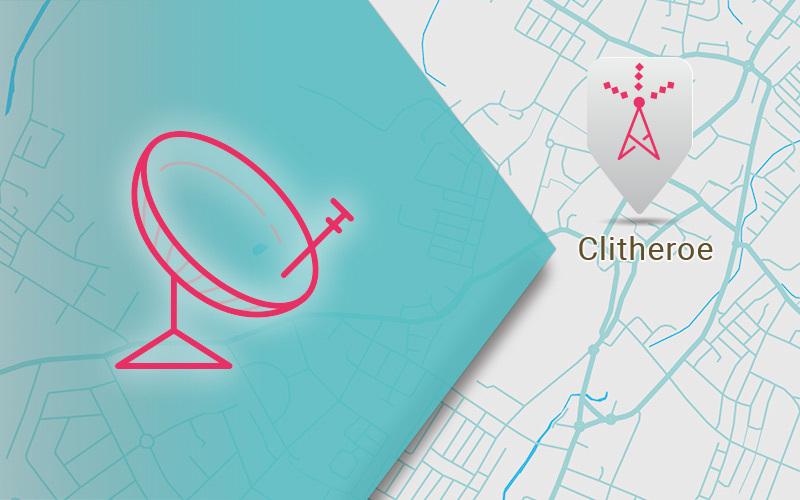 So, if you live in the Clitheroe area, and need a local satellite repair service, make sure you speak to The Aerial Guys today on 01200 315035. Dawn’s husband works away a lot but when he comes home, he likes to catch up on the sports channels and games he’s missed. “The TV had been playing up for a while and I hadn’t got around to fixing it. But when I knew Don was back home for a while, I knew he’d want the TV working properly. I hadn’t seen him for a while, so it was important to me that I got it working for him. My neighbour had used The Aerial Guys before and said they were brilliant, so I gave them a call,” she says. A technical adviser at The Aerial Guys soon had an engineer booked and on the way to Dawn’s house. “As soon as he arrived, I knew I’d done the right thing. He assessed the situation very quickly and assured me he wouldn’t start work until I was happy with the price. I told him it was fine and, before the day was out, everything was fixed. I’m really pleased that I got in touch with The Aerial Guys. Now we can watch whatever we like in fantastically clear vision – all thanks to The Aerial Guys,” Dawn says.